The weird thing though is that, without meaning to, I seem to have stumbled into what is at least for me a brand new publishing strategy: More than one book from the same set of research. 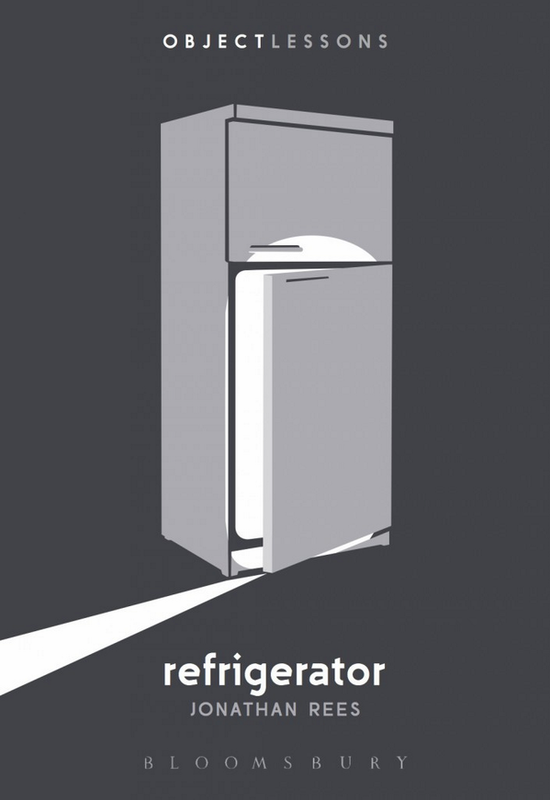 While some of what I already knew from Refrigeration Nation went into this new book, the most important reason I could write Refrigerator so quickly (and this derives from reason #2 above) is that I had huge chunks of refrigerator-related material already written. This is the stuff that ended up on the proverbial cutting room floor writing Refrigeration Nation, but it fit well into the kind of book that Bloomsbury wanted – not too serious, and definitely not academic. For example, most of the part on refrigerators and global warming that I originally wrote for Refrigeration Nation made no sense in an academic history, but fit this book perfectly. Oddly enough, it looks like the next book I get done will be a book devoted entirely to the icebox for Johns Hopkins again. The idea here is to write a short undergraduate-level textbook to explain all the very complicated technologies that made the extremely simple technology of the icebox possible. On this subject, I literally have drawerfuls and databases full of material that never made it into Refrigeration Nation. That’s what thirteen years worth of research can do for you. To top it all off, none other than my older brother the economics professor (and his co-author) invited me to collaborate on at least one math-laden study about the effects of the introduction mechanical refrigeration into American cities on public health. Besides the sheer irony of me producing anything that has math in it for an economics journal no less, it just seems like an interesting thing to do. As an added benefit, it would make our Dad very happy. So why does all this matter to you? Well, if you’re not an historian, it might not matter at all. However, if you happen to be a member of my particular academic cult, I think there may be many good reasons not to wait ten years between books. Here are three of them: 1) The money is hopefully way better this way. More books means more chances for royalties and speaking fees – and as someone in the same salary situation that Historiann describes here, that’s no small benefit. 2) Researching vertically – meaning one subject deeper rather than many subjects lightly – gives you a chance to correct your mistakes. I’m not confessing to mistakes in Refrigeration Nation…at least not yet, but there were omissions. For example, I really wish I could have included the stuff I got about frozen foods for this books in the last one too. And 3) Since the powers that be at my school now say that I have to justify keeping three courses per semester every single, solitary year, publishing this way is actually the best way for me to keep more time to write. I still have an interesting longterm publishing project: my Harvey Wiley biography. Maybe by the time I get back to it, I’ll figure out the perfect angle to get an agent and a trade book contract. Until that day comes, I’ll just keep plugging along. * Did you know that you can buy a refrigerator at Amazon? They don’t ship it via UPS. Buy one and they’ll call you within three days to set up a drop off date and get one out to you direct from the manufacturer’s warehouse. This story about the history of the ice industry on last night’s Marketplace (American Public Media, nationally broadcast on most NPR stations) is built around an interview with me. “No Ice, No Las Vegas,” is a half-hour interview with me on Nevada Public Radio about ice, iceboxes and all the other good stuff you’ll find in Refrigeration Nation. Of course, I haven’t seen any reviews yet, but the direct academic feedback I’ve gotten has been beyond my wildest expectations. I’m also getting the first hints that the book is actually selling (which is kind of amazing considering how expensive it is). While I would never ask anybody to drop $40 on it unless they were already so inclined, please consider asking your local library to order it. This morning I did a half hour interview with Linda Pelaccio about Refrigeration Nation on the Internet radio show “A Taste of the Past.” You can listen to it here if you’re so inclined. I’m not sure I’m entirely coherent as I wanted to talk about seventeen things at once, but I’m told it went well. Discussing MOOCs is much easier because outrage keeps me focused. I’m also interviewed on the same subject in a sidebar to this article about refrigeration at Modern Farmer. It’s quite an honor that the author of the main article is the great Nicola Twilley of Edible Geography fame. Now back to my syllabi. If anybody wants to talk about MOOCs or refrigeration, it’s gonna have to wait ’til next week. Just another boring old refrigeration history post. Over at the blog of the Historical Society. In which I resort to bad puns in order to sell books. The Innovation Book of the Week at the Belfer Center for Science and International Affairs at Harvard’s Kennedy School of Government is…well, you’ve probably guessed already. I’m so glad I spent the extra three extra years to make the scope of Refrigeration Nation global. Thank you again, Calestous.